Looking to escape the winter snows this holiday? Book a couple weeks in Australia and/or New Zealand. Travel2 is one of our favorite vendors in the South Pacific. They offer tailored packages for travelers in Australia and New Zealand, and beyond. Want to hit the adventure and see the highlights of Down Under, but don’t want to figure out the logistics of a car and hotels? The folks over at Travel2 are your backup team — and Willamette Intl Travel’s got you even more covered! Take in the sights of Australia’s cities–Sydney and Melbourne. See the Great Barrier Reef, a fast-disappearing natural wonder of the world. Hit the road and explore Auckland’s City of Sails and the geothermal landscapes of the North Island. 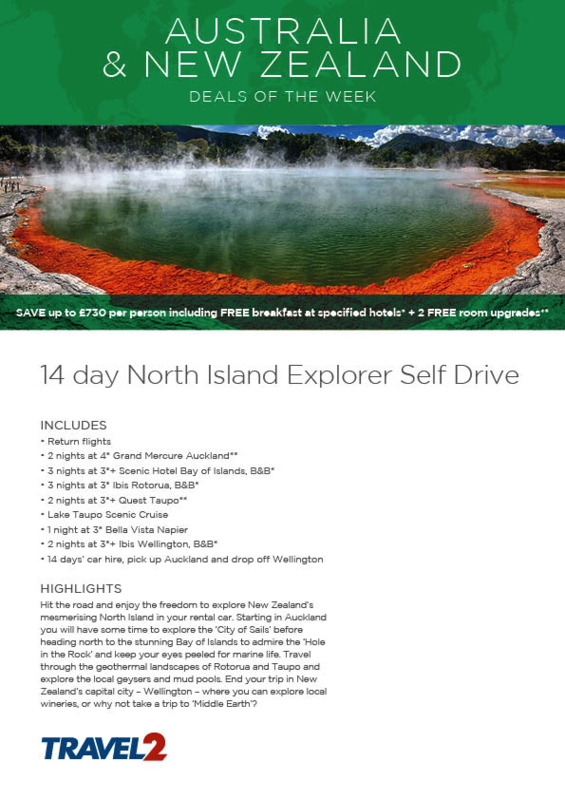 Take the Grand Tour of New Zealand, from Christchurch to Auckland. Hike through ancient forests, climb across glacier mountains, admire the historical railway and clear celestial skies. Why choose between the two? 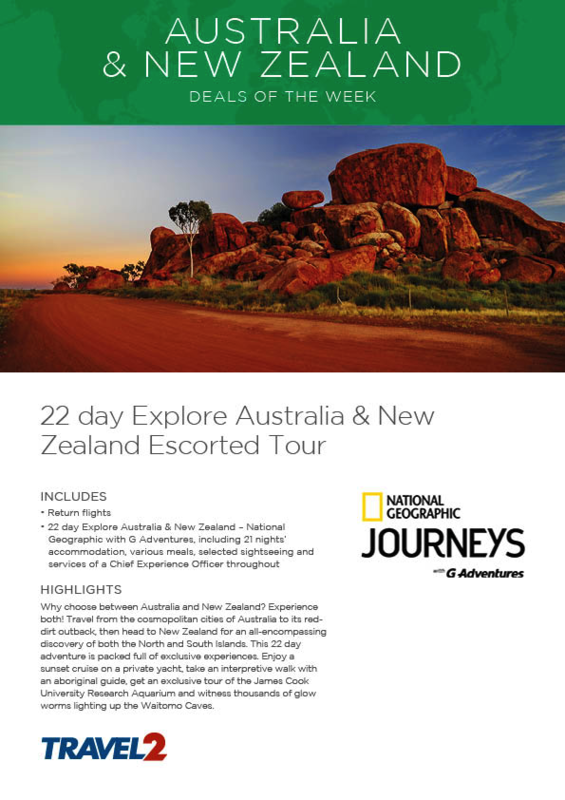 Combine Australia & New Zealand on a Grand Adventure! Head out on red dirt roads in the Outback, enjoy a sunset cruise on a private yacht, witness the unforgettable glowworms illuminating the Waitomo Caves. For more information on a trip to Australia, New Zealand or the Cook Islands tailored just for you, call Willamette Intl Travel: 503-224-0180 or email info@wittravel.com. We at Willamette Intl Travel love tried and true destinations like these! Interested in one (or more) of the places below? Give us a ring! 503-224-0180 or email info@wittravel.com. Welcome back to Conscientious Traveler–our monthly series in which we showcase a fantastic travel organization that supports humanitarian and/or environmental work. January is all about G Adventures! It’s summer in the Southern Hemisphere, the perfect time to visit the Land Downunder and catch a glimpse of the Southern Cross! 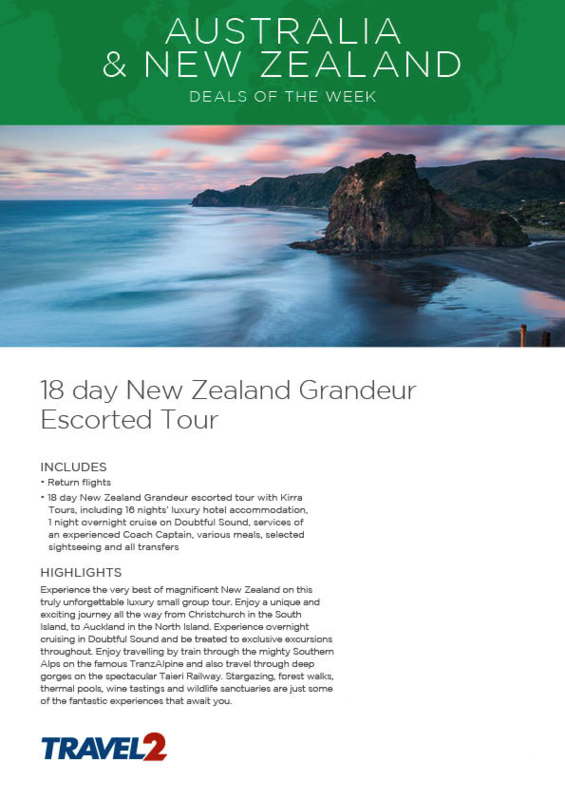 G Adventures hosts a variety of escorted tours (both luxury and backpacker-style) in Latin America, Australia, New Zealand, and spectacular expeditions to Antarctica. Call Willamette Intl Travel (503-224-0180 | info@wittravel.com) to find out more about the fun and affordable tours G Adv that offers. G Adventures is also the founder and close partner of the Planeterra Foundation, a nonprofit designed to enrich communities touched by tourism in a sustainable way. G Adventures sees tourism as “a force for global good,” and we at Willamette Intl Travel agree. Though we’ve covered Planeterra on our blog before (way back in 2012! ), we’re happy to feature them again! Planeterra works directly with G Adventures to minimize harmful impact on destinations, promote economic growth and small local businesses, and ensure that all animals encountered on G Adv tours are treated humanely. They are working in over thirty projects empowering women, encouraging craft cooperatives, conserving cultures. In the “Oodles of Noodles” project in Hoi An, Vietnam, G Adventures works with STREETS International. This curriculum is a way for Vietnamese students to lead a noodle-making class with travelers, practicing their English and presentation skills. In the “Moshi Mobile Mamas” project in Moshi, Tanzania, Planeterra works with a free and women-only business school. Their curriculum includes business management, accounting, and English, plus a seed fund for graduates to start their own business. In the “Mayan Community Homestay,” in San Juan la Laguna, Guatemala, Planeterra works with the local communication in Lake Atitlan to develop a homestay program for travelers. They also promote local businesses centered around tourism including an art gallery, a medicinal shop, weaving co-ops, and a Temazcal steam bath. Go to planeterra.org to find out more or to donate. There’s no question about it–G Adventures certainly is a Conscientious Traveler! Thinking of going on a G Adventure? Call Willamette Intl Travel at 503-224-0180 or info@wittravel.com and we can get started on your adventure! Uluru, or Ayers Rock, is a massive sandstone monolith in the heart of Australia. People travel from around the world wake up at sunrise for some gorgeous views. But have you seen the first-ever drone footage of Uluru in Australia? Willamette Intl Travel has sent countless of clients to their ideal destination in Australia. Margaret River, Melbourne, Great Barrier Reef, Kangaroo Island—the list goes on. Uluru is just one of the many incredible sights on this wild and ever-changing continent. Check it out! Footage is courtesy of Voyages Indigenous Tourism Australia. “We were literally up at the crack of dawn, actually before that, as we wanted to see the sunrise on the giant monolith at 5:46 to be exact! We arrived exactly then at the “sunrise viewing” area. We were the ONLY folks there at first! The idea is to watch the colors go from black to the varying hues of browns, oranges and reds, looking quite different than at sunset. William Gosse, the first white man to see this rock in 1873, wrote: “An immense rock rising abruptly from the plains….this rock is certainly the most wonderful natural feature I have ever seen”. This is considered by some accounts, to be the largest monolith in the world and recognized by UNESCO on 2 lists, quite rare. The first is its geological listing in 1987 and 10 years later, they added it as a cultural site due to its sacred value to the local aboriginals. Did You Know? While not illegal, climbing on Uluru is highly discouraged. The indigenous tribe, the Ananou, believe that climbing path crosses a highly sacred dreamtime track—a spiritual place beyond time where past, present, and future all exist together. Welcome back to Conscientious Traveler—our monthly series in which we showcase one of our fantastic partners with projects that support the environment, wildlife and local communities. This month, we feature Goway. Goway is one of our favorite trusted vendors specializing in fully customizable trips around the world. We have worked with them for years organizing trips for our clients to Australia, New Zealand, Southeast Asia, Japan and more. Tourism Cares. Goway participates in Tourism Cares initiatives that preserve and enrich the travel experience of travelers worldwide through giving back and volunteering. Children’s Wish Foundation of Canada. A nonprofit that helps Canadian children diagnosed with a life-threatening illness realize their favorite dreams. In 2015 & 2016, Goway received a Valued Partner Award for their efforts to support Children’s Wish, and last summer raised $10,000 for one child’s wish at their annual fundraiser. Canadian Blood Services. Goway had their first annual blood drive last month, during which staff donated blood to the clinic. Wildlands Conservation Trust. Goway has made two sizable donations to the Trust’s “Looking out for Rhino” campaign, supporting the latest tracking technology fitted for rhinos. So you can combine Travel with a Good Cause! Call your agent at Willamette Intl Travel and let us arrange a remarkable journey for you! Call 503-224-0180 or email info@wittravel.com. Does your perfect day involve playing a round of golf at the most prestigious courses in the world? If it does, you’ve come to the right place! Azamara Club Cruises and Perry Golf have teamed up to bring you worldwide golf voyages to some of the most acclaimed courses on the planet. Call your agent at Wittravel for more details: 503-224-0180 or email info@wittravel.com. Let us plan your perfect holiday from start to finish, so you can enjoy a vacation without any hassles! 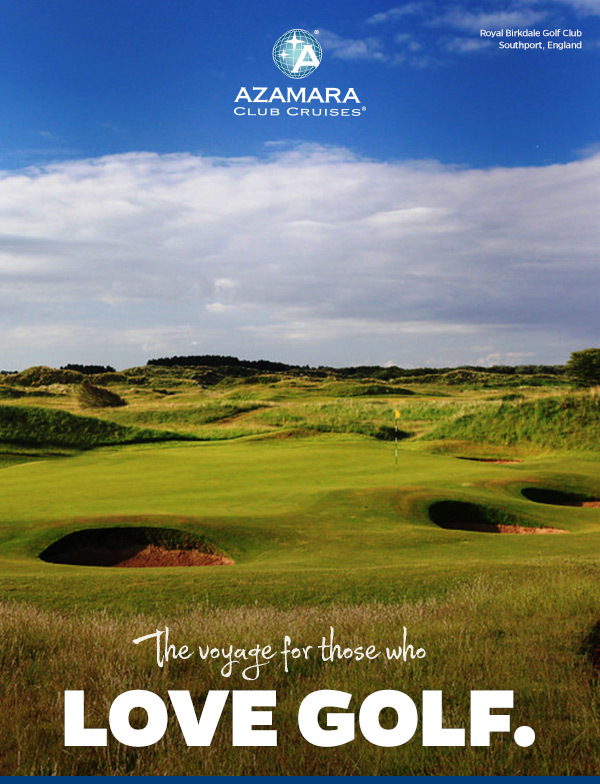 The golf packages on Azamara’s 2016 & 2017 British Open voyages feature venues such as Royal Birkdale, Gleneagles, and Turnberry, and also include attendance at the final round of the British Open Championship to watch the world’s finest players compete for the coveted Claret Jug. Their voyages to Australia & New Zealand, the Mediterranean, and the Baltic Sea offer golf packages as well, with an outstanding collection of courses including Barnbougle Dunes, Cape Kidnappers, Bro Hof Slott, Continental Europe’s #1 Valderrama, and many others. AND if you book selected voyages by June 30, 2015, you’ll receive 50% OFF the cruise fare of the second guest! Hurry! PerryGolf packages sell out quickly. Book your trip to Australia now–December is the height of summer, when the country bursts alive with festivals and venues. Melbourne: Australia’s second largest city, it may as well be the capital when it comes to culture and design. No other city in the country has as much creative energy, as anyone can see in wealth of art indoor and out–from innovative art exhibitions and galleries, to the hipster-clad boutiques and iconic street art that dot the corners of this bustling cosmopolis. This is a city buzzing with creativity. Graffiti itself as become so sophisticated in Melbourne that it has inspired a themed Google Maps site, Melbourne Graffiti Walks. Check out more art at the Australian Center for Contemporary Art, displaying marvelous exhibitions on cutting-edge visual arts. If you’re feeling hip, head down the block to Gertrude Street, to shop some truly eclectic designs. Or wander down Rose Street Artist’s Market on the weekend, where artists and designers pitch their quirky and one-of-a-kind wares to passersby. If you’re needing to slow it down a notch, head to one of the city’s may parks. Melbourne isn’t dubbed the “Garden City” for nothing. For a glimpse of some spectacular flora–including cacti, bamboo, orchids and more–head over to the Royal Botanic Gardens. Dinnertime yet? Hop on a tram to one of the suburbs: St. Kilda, Fitzroy, Richmond or South Yarra, to sample succulent dishes from poached crayfish to double-roasted duck at casual but tasteful restaurants. In the evening, be sure to check out the unforgettable view of a starlit sky on the 360-degree Eureka Sky Deck. If you dare, you can step out onto “The Edge,” a glass-floored platform about 300m from the ground! Melbourne is a terrific destination to explore new scenes, and we highly recommend adding it to your Australia trip. And if you’re in the area early March, don’t miss the annual Melbourne Food and Wine Festival–an exciting 2-week long celebration of yummies! Melbourne has many big events that sell out months if not a year in advance. Accommodation during these hot events are also limited. It’s not too early to book for 2016! Book soon and reserve your seat! 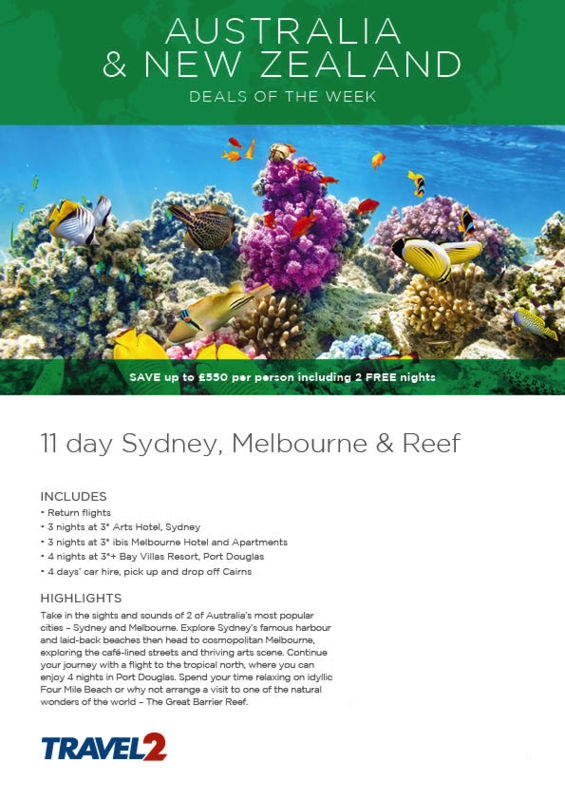 Remember–book Australia now for travel in November to February! Several of our agents have traveled all around Australia and would love to organize your dream trip to this amazing continent! Call 503-224-0180 or email info@wittravel.com today!